You need an unfair advantage! How are you going to dominate your space if they've been up and running for years before you? You see, when a warrior goes into battle they should not think "this will be easy." By respecting the strength and authority of your competition it brings perspective to how much effort and strategy is required to overtake them. There is currently someone on the top of YouTube capturing the attention of your audience. And there is someone right now running Facebook ads to a funnel selling a version of what you seek to sell efficiently, day in and day out. The big question is... What are you going to do about it? And their celebrity Angel author had written over 40 books before my wife ever started. We were flat broke living at my parents' house. So what was my wife's competitive advantage? Mixed with her willingness to relentlessly publish hundreds of SEO optimized posts per year for 4 years straight. We started as underdogs, but today we capture the lion's share of the clicks and traffic online. What about my 'unfair advantage' with the "Miles Beckler" brand? Well, stepping into the digital marketing and entrepreneur world on YouTube, I was completely unknown. There were already successful marketers holding down the top spots for every keyword phrase I now currently dominate. To give more value, more often then they did. To create extremely shareable videos which meant no pitching of an opt in or product in 99% of videos. Because most of the fake gurus ranking pitch their rubbish products every vid. But strategy alone is not enough... I decided to outwork them at the same time! 244 videos in the first year... Check. 400+ videos by year 2... Check. 100% focused on capturing the attention of THEIR audience through videos, first. This combination of strategy & execution was my unfair advantage. Know that I can personally be your unfair advantage. You see, every member inside of my inner circle program has access to my best trainings, my custom built software, my direct feedback on their funnels and the ability to ask me questions. 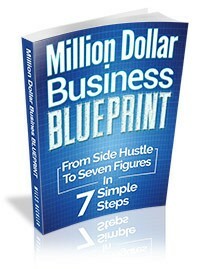 All designed to give my Inner Circle members an unfair advantage against their competition! Easy, post up your question and we will tackle it together! Driving traffic but no one opt's in? Easy, submit your opt-in page for the next live review and I'll help you understand why it isn't working and give you suggestions to test. I've personally seen and dealt with just about every challenge that a digital entrepreneur will face. "Oh yeah, I dealt with at once, here's the fix…"
And just like that, they are back on the path chasing down their competition! Or saving them from giving up because they are overwhelmed and frustrated... When they are 3 feet from gold! Now, the one thing I cannot and will not do for you is the work. You must be willing to put in the work and create the content, create the funnels, set up the tests, drive the traffic, etc. This is not a magic bullet, but an opportunity to have a mentor who has "been there and done that" help you stay on the fast track. Join the inner circle membership, today! So you can overtake your competitors faster with my help, rather than continuing to struggle alone on your own.